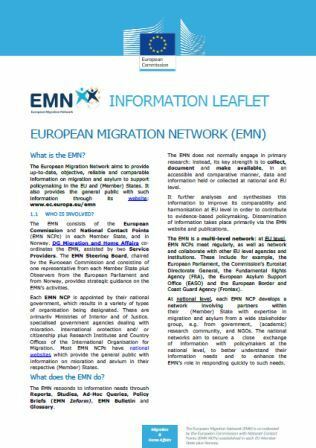 The UK EMN NCP is located within Migration and Border Analysis Unit of the Home Office Science Group and consists of a multi-disciplinary group of, researchers and statisticians supporting UK policymakers and operations. They carry out a programme of research and analysis including work on the drivers, costs and benefits of migration, border security, enforcement of immigration law, and the European and international contexts of migration to the UK. They also undertake policy and programme evaluation, link migration research across government departments and engage with migration researchers outside of government.